Steelpipes was established in 1995 to provide quality certified steel pipes to the Australian construction, mining, oil & gas and marina industries. 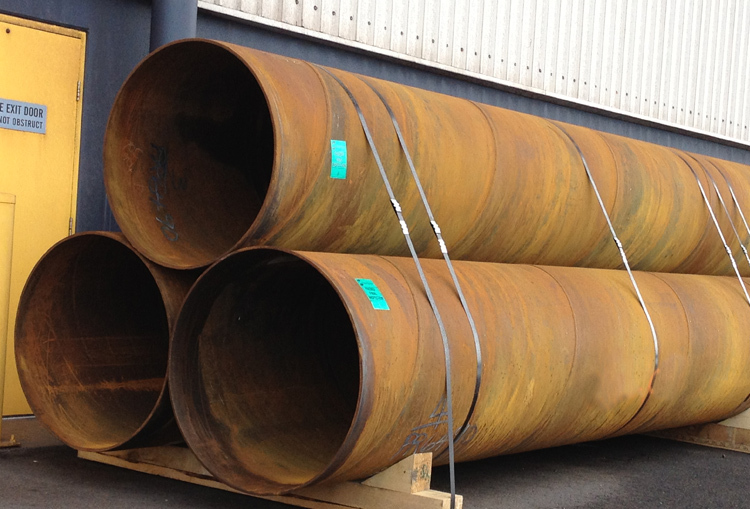 Our aim is to provide a comprehensive range of large diameter API steel pipes that were not manufactured in Australia. Over the years, we have been involved in a large range of projects of varying sizes, from construction of wharves in Tasmania and marinas in Melbourne to arenas in Sydney and rail bridges in Western Australia. Throughout this time, we have expanded our range to include certified API pipeline up to 1220 mm in outside diameter and grown a large and loyal customer base. Despite this growth, Steelpipes remains a family-owned Australian business. In addition to our experience with Steelpipes, we have many years of experience in the Australian steel industry. We believe in providing a high quality and personal service to all our customers, and ensuring that we can exceed their expectations, no matter what they require. Above all, we understand the importance of delivering a high quality, reliable product so you can have complete confidence in your project. Our national footprint allows us to supply into all locations no matter how remote. All our stock is sourced from mill manufacturers with quality systems that meet Australian and New Zealand standards (ISO 9000 to 9004) all the way from the design to delivery phase. We stock products that are certified for all end use applications, and provide our quality assurance so you know you are receiving the best the industry has to offer. Whatever your project/supply needs, the team at Steelpipes will be delighted to talk to you to see how we can meet your needs. Our regular stock includes ERW, LSAW, spiralweld and seamless steel pipes, ready to despatch to you anywhere around Australia. We have API line pipe ranging from 323.9 mm to 1220 mm at varying wall thicknesses, all with a minimum of 350 MPA physical yield strength. Our stock also includes SAW spiralweld pipes ranging from 600 mm to 3000 mm. As Australia’s specialist steel pipe suppliers, you can rely on us to deliver certified quality products, quickly and efficiently at an extremely competitive rate. For more information about our range or technical information such as our steel pipe dimensions, contact us today. Dragana got a start in the steel industry with an Analyst role in Operations and Logistics for Australia’s largest steel maker BlueScope Steel. She expanded on her knowledge of steel and steel making by working in Sales and Service for a leading manufacturer and supplier to Australia’s pipeline industry OneSteel Oil & Gas Pipe. Today she applies her knowledge of steel, steel pipes, manufacturing, logistics/distribution, and supply chains to her role as our Customer Service Manager, ensuring customer satisfaction whilst maintaining a strong level of commitment to sales and service, safety, and quality steel pipe products. With close to 30 years of steel industry experience, Gary has occupied various roles in Sales and Operations (from the floor to Senior Management) and has worked with some of the largest Australian steel distributors including BlueScope Steel, Southern Steel Group, and Smorgon Steel across diverse market sectors. From Specialty Metals to mainstream steel distribution Gary has a firm understanding of customer requirements which is critical in ensuring that the business continues to deliver reliable quality steel pipe solutions. Alex is our motivated and enthusiastic Internal Sales Representative. He brings to the role steel industry experience and business sales accreditation. Driven by results coupled with excellent communication skills, Alex is a great relationship builder who is committed to delivering a high level of sales and service excellence to all our customers. © Copyright 2013 by Steelpipes. All Rights Reserved.